Gyanaodaya-2018, an induction programme for the newly admitted first year students was held at Shri Ramdeobaba College of Engineering and Management on 9th August, 2018. Following the Indian cultures and values, the event began with the traditional lightening of the lamp & Saraswati Vandana. The event was graced by the auspicious presence of Swami Suvijneyanandaji, Ramkrishna math, Nagpur and the Vice-Chairman Shri Chandrakantbhai Thakar along with Shri Satyanarayan Nuwal, Vice-Chairman RCOEM; Shri Govindlalji Agarwal, General Secretary, RCOEM; Shri Kailashchand Agrawal and Rajendra Purohit, Secretary, RCOEM; Shri Ashok Kumar Pacheriwala, Treasurer, RCOEM; Dr. R. S. Pande; Principal, RCOEM, Dr. Y. M. Sonkhaskar; Dean SRC and Prof. (Mrs.) Prachi A. Saoji; First Year In-charge, RCOEM. Gyanodaya-2017, an induction programme for the newly admitted first year students was held at Shri Ramdeobaba College of Engineering and Management on 5th August, 2017. Following the Indian cultures and values, the event began with the traditional lightening of the lamp. The event was graced by the auspicious presence of Rev. Swami Brahmasthananda; President of Ramkrishna math, Nagpur and also the Vice Chairman Shri Satyanarayan Nuwal, RCOEM; Shri Govindlalji Agarwal, General Secretary, RCOEM; Shri Kailashchand Agrawal and Shri Rajendra Purohit, Secretaries, RCOEM; Shri Ashok Kumar Pacheriwala, Treasurer, RCOEM; Dr. R. S. Pande; Principal, RCOEM, Prof. S.H. Deshmukh; Dean SRC and Prof. Prachi A. Saoji; First Year In-charge, RCOEM.  Gyanodaya 2016 - an induction session for newly admitted students of Shri Ramdeo baba College of Engineering and Management, Nagpur was conducted on 6th August 2016. The event was attended by President of Ramkrishna Math Nagpur Swamy Bramhasthananda, Chairman of RCOEM Shri Banwarilal Purohit who was the Chief Guest of the program. General Secretary Govindlal Agarwal, Secretary Kailashchand Agrawal, Treasurer Ashokkumar Pacheriwala, Principal Dr. R. S. Pande, Dean of Student Representative Council, First Year incharge A. V. Bharti were also present. Dr. R. S. Pande gave the opening remark stressing on the glories and achievements of RCOEM, and also pointed out that this batch was lucky as it would be graduating in the year 2020, a milestone for India according to Dr. A. P. J. Abdul Kalam. Swamiji threw light upon the importance of real knowledge of working for mankind and character building. He also stressed on following the path of Swamy Vivekananda and work for betterment of humanity. Banwarilalji Purohit in his address stressed on simple living and high thinking. He also stated that college is ragging free and has various disciplinary cells like Anti ragging and cell against sexual harassment etc. Dean Second Shift Dr. S. D. Mohgaonkar, Dean Academics Dr. Agashe, Dean Training and placement Prof. Anupam Kher also addressed the newly admitted students on this occasion.